We are delighted with the fifth and final volume of the Kotronias on the King’s Indian series: Sämisch and The Rest but… the printed book is missing three moves on page 21: the bolded line jumps from White’s move 6 to Black’s move 9. A typesetting slip combined with a proofreading miss. Sorry about that. We fixed the Forward Chess version, but for those with the physical book, the linked pdf shows that page as it should be. From the 31st of March, I will once again represent Scotland as a member of FIDE. This is not only to do my bit for keeping up the FIDE finances, but due to the continued interest in chess shown by both of my daughters. I am no longer an active player, so the shift is entirely optical. I will not become less Danish and I hope my connection to Danish chess will remain undiminished. I have been highly critical of recent priorities by the Danish Federation and have felt that they were not only unfair, but also going to end up with an entirely different effect than desired. The main problem was the lack of debate and interaction with the highest-rated players. The goals were to a great degree shared by all, but the lack of understanding of what it takes to develop great players did not hold the Federation back. They clearly believe that removing obstacles for kids will make them stronger chess players. Even without the rude behaviour towards Danish grandmasters, this is a bad decision. In that connection, I cancelled some unpaid work I was going to do with young players in Denmark; I simply felt sick of the whole thing and needed to get out of all commitments for a while. My decision to change Federation however was taken a long time ago and has simply been delayed. It has nothing to do with anything else than my personal circumstances and desire to commit to the place I have called home for 13 years now. I am sure I will work together with the Danish Federation in the future and I have no intention of playing any chess tournaments, including Olympiads or other team events for Scotland, at the moment. As you may have noticed, we have had some technical problems this week, since Monday morning. The blog was down for some time, but you will not know that we also had email issues. The problem was caused by a server failing, so it was not just Quality Chess affected, but whichever companies were using the same server. It all seems to be cured now. I believe a couple of comments disappeared from the blog, so sorry if yours was one of those lost. Or if you emailed us earlier this week and we appear to be ignoring you, then please send again. But websale orders appear to have been received and processed fine. I have been back for a few days from my trip to Tehran, where the second round of the Women’s World Championship has just finished. I went as a coach for Sabina Foisor, who found herself with changed circumstances that are too personal and complex for us to mention here. 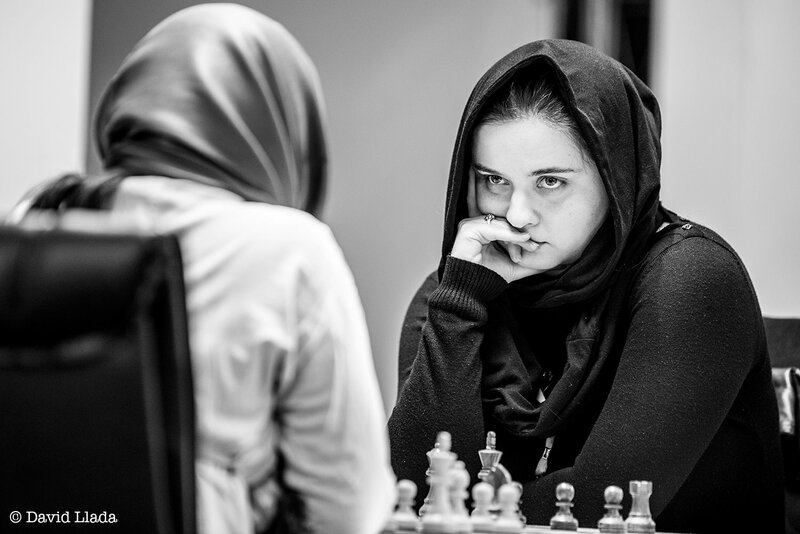 Once there, she played really well, fought like a lioness and did what we had agreed in advance, which was to take a full swing at her 250-points higher rated opponent. After a good first game, where her opponent almost over-pressed, as we had suspected she might, Sabina had White in the second game and would go into the next round with a win. She played a great game up to a point, but had spent too much time and went in the wrong direction and got a bad position. At some point it was lost in one move, but she resisted and at a later point she could have entered a very fragile, but possible drawing, zone. She did not and eventually went down. A couple of friends of ours, IM Jovanka Houska and James Essinger, have written a novel together. 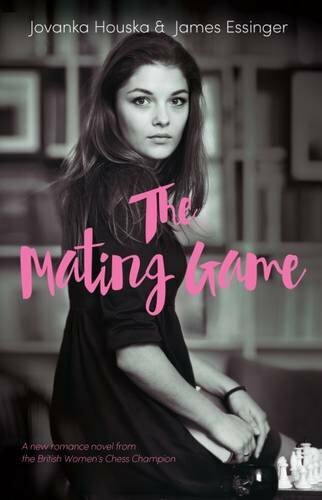 It is called “The Mating Game” and you can see it at the publisher’s page here. There is a chess theme, but I am reliably informed it is quite a “racy” book, so not one for children to read. Jovanka was interviewed recently about her book by Sabrina Chevannes for ChessBase – as you can read here. Andrew has just started reading it, and is highly positive. Any other opinions? Recently a book, written by Timoshenko on the Sveshnikov Sicilian, was published in Russia. From all we know, it is a decent book by a real expert on the opening. We do not want to publish it in English, as we have our own book by Kotronias, which is really excellent. But Russian Chess House decided that this Timoshenko book would fit in well with their version of the Grandmaster Repertoire series, where they have previously published some of our QC books. To do this, they took a version of the cover we had given them for a different book, and then their cover artist lifted the chessboard photo off our book on the Sveshnikov Sicilian and used it on their own cover. Their thinking was: this will cause no damage to Quality Chess and be good for Russian Chess House. a) They did not ask us, which is a big transgression. And we would have said no. b) It does reflect on Quality Chess, as people will naturally tie this book to our brand. This is called ‘trading off’. If we wanted to do it, we could license our brand in Russia and elsewhere, but it also means that some people will hold us responsible for the quality of the Timoshenko book and if it is not good, they will think worse of our books. This might not be a case with this book, we don’t know for sure to be honest, but clearly this is a choice we want to make! Similarly, we believe in Russian Chess House’s series there is a book by Scherbakov on ‘The Triangle System’ that looks like a Quality Chess book, but is nothing to do with us. We have talked to Russian Chess House and they are apologetic. Things have been sorted out. a) We want you to know that this book has nothing to do with us and will not be published by us. b) Please think about the idea of a victimless crime. There is not really any such thing. Respect copyright, especially ours!